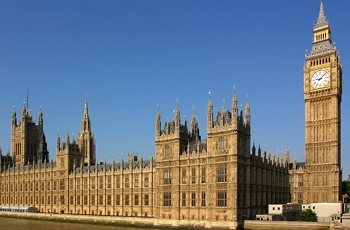 The launch of the 2011 Parliamentary Shadowing Scheme at the Houses of Parliament will be shown in a special programme tonight on Sangat TV, Sky Channel 847. The programme, which will begin at 9.30pm, will feature the launch which introduced the 25 Shadows selected to take part in the scheme as well as hearing words of inspiration from OBV director Simon Woolley, Conservative MP Sam Gyimah, Labour MP Sadiq Khan and Lib Dem MP Simon Hughes. Sangat TV's programme also features an interview with David Lammy MP. Amongst the Shadows taking part in the shadowing scheme is Gurpreet Sandhu. As well as working full-time for Accenture, a global consulting firm, Sandhu also presents a political show on Sangat TV and was present amongst his fellow shadows as well as capturing all the sights and sounds of the launch, which you will be able to see on the show tonight. Sandhu started his political journey while working on Council Estates in London which funded his way through University and allowed him to graduate with a First Class BSc and MPhil from the University of Cambridge. This is a great scheme and we are enthused by the words we have heard here today - looking forward to working with OBV in the future. Sangat TV is also set to air an in-depth interview with OBV director Simon Woolley in the near future. THE TIME HAS COME, THE KINGDOM OF GOD IS NEAR YOU. Submitted by ANDY LUMEH (not verified) on Sun, 13/11/2011 - 18:34. Honorable Back Ladies and Black Gentlemen of England. It is the most gratititude that I write these words of mine. I never thought a day will come when I see such headlines from a Black News paper in Britian. Few years ago, God appeared to me twice in a vision of the night. In this vision I saw myself as Prime Minister at Ten Downing Street. There were other former Prime Minister of Britian in the same room. as I clearly heard the voice of the Almighty God saying to me. " Andy Lumeh, Evry Place that the sole of your foot shall tread upon, that have I given unto you. - Scripture reference Joshua 1: 3- 7. At another vision before that, I saw myslef in what seem to be the garden of TEN Downing Street. At the British Prime Minister Residence. There was a victory party, where we have just won the election. I was now Prime Minister of Britian. A white man . Butler or the servant at 19 Downing Street was bowind down serving me with a tray in his hand with waht was orange juice, and food since I do not drink. God is bringing this to pass as son as we can all believe that our time has come as Blackmen and Black women, to rule Briatain. Amen. God bless you and keep you. May the Lord make his face to shine upon you, and give you peace. in Jesus Christ name. Amen. The next Prime Ministe of Britian.by Faith.